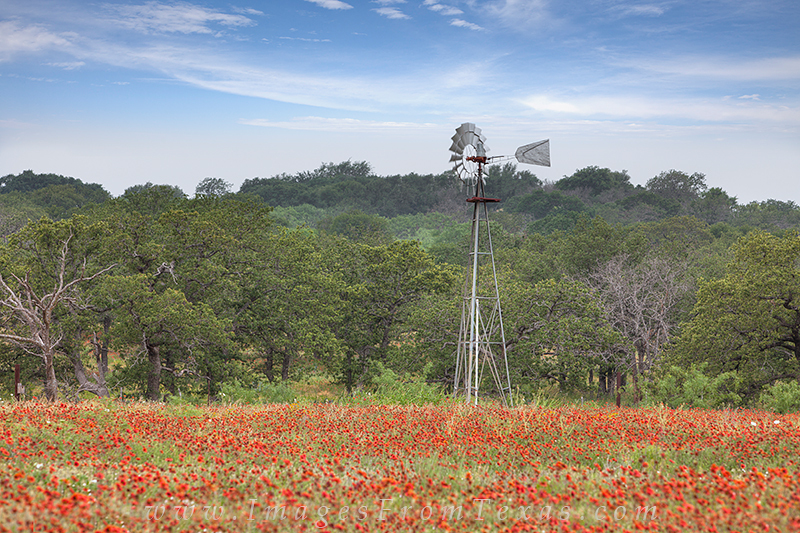 Along a dirt road in the middle of the Texas Hill Country, I came across this field of Indian blankets and a windmill. Of course, with the skies being perfect for photography, I stopped to capture this little scene of red springtime wildflowers. Photo © copyright by Rob Greebon.